So happy to be here on the Riley Blake Designs Knit Love tour with you! 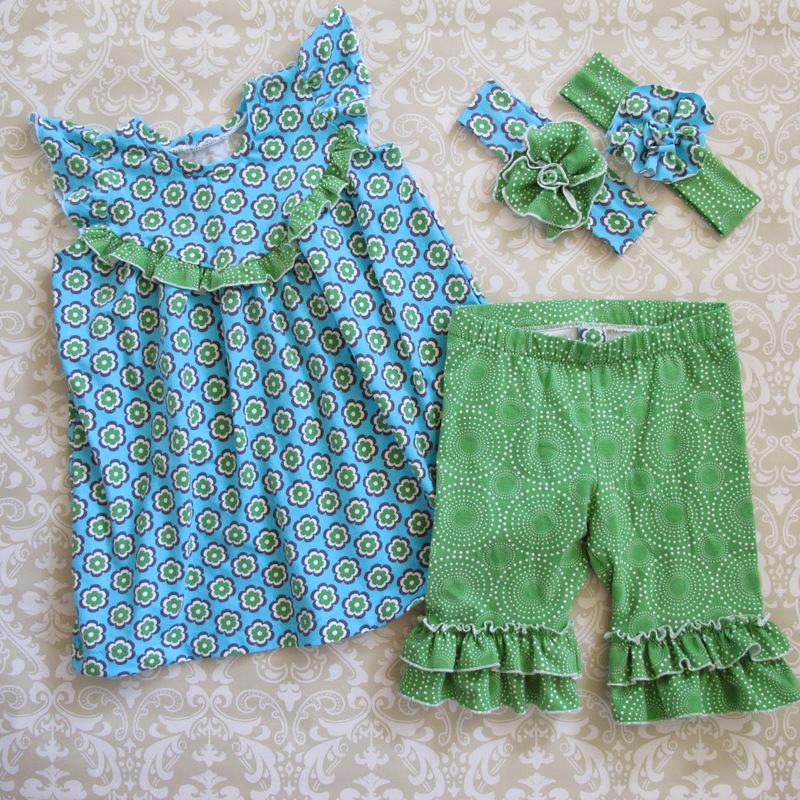 I fell in love with Patty Young’s Vivid collection at first sight and knew these sweet colors and fun designs would be perfect for a girl’s play set made from my Opal Flutter Sleeve Top/Dress and Sterling Leggings patterns. This knit is buttery soft, super stretchy thanks to 5% spandex and sews up beautifully into both tops and leggings. 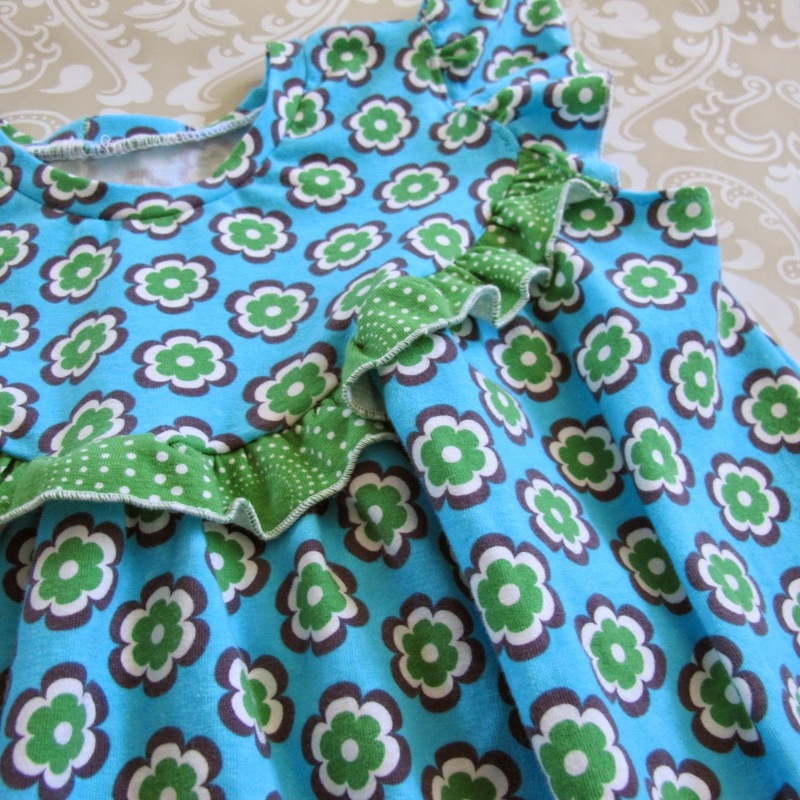 The floral print is Leilani in the Spearmint colorway – turquoise, spearmint, white and a touch of navy, and the coordinate is Fireworks also in Spearmint. I used the tunic length option on my Opal Knit Tunic and Dress pattern, and added the optional ruffle at the bodice seam. I didn’t have to use a rolled hem on the sleeves and ruffle, but liked the decorative touch they added. 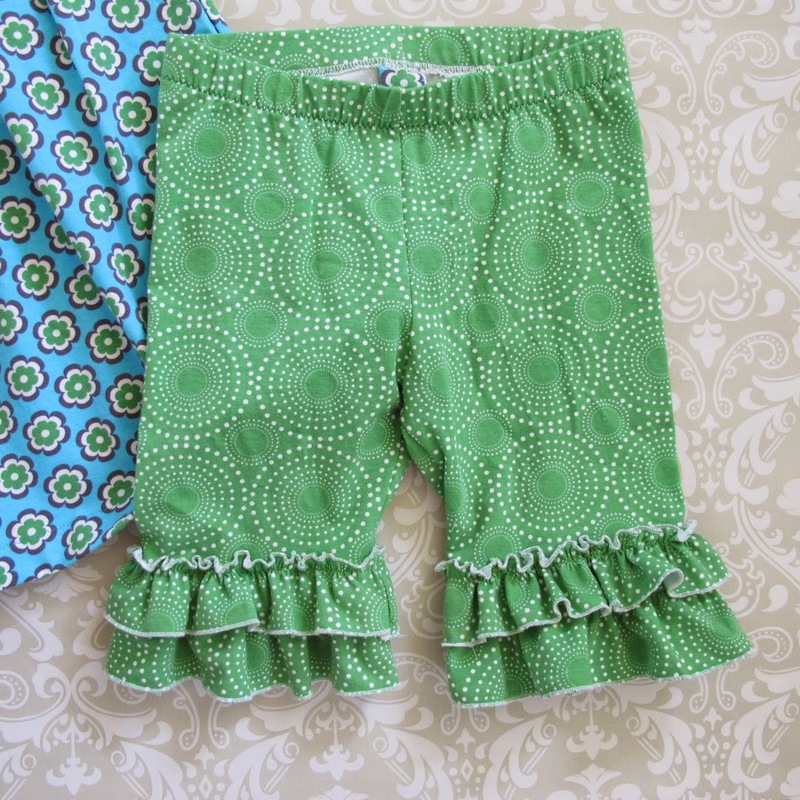 I chose the shorts length from the Sterling Knit Shorties and Leggings pattern, and the double ruffle option – because, ruffles! I also rolled the ruffle hems for decorative effect. The back rise of the shorties pattern is higher than the front for a good fit, but little ones still have trouble finding back from front sometimes. A scrap of the Leilani flower print made a really cute no-scratch tag so my model can tell the front from the back. 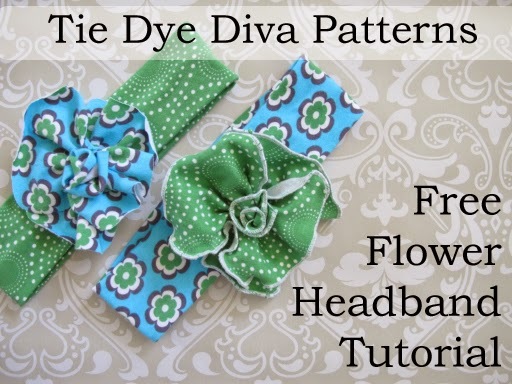 Free Flower Headband Tutorial – a great scrap project for knits! 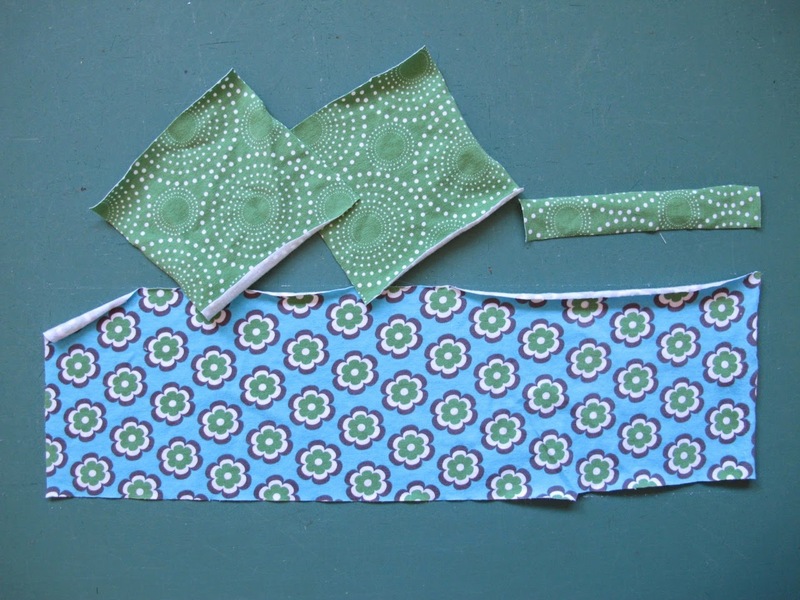 So, before you cut, orient your fabric with the stretchiest direction going side to side, and pinch it at 0″ and a few inches less than the child’s head size. 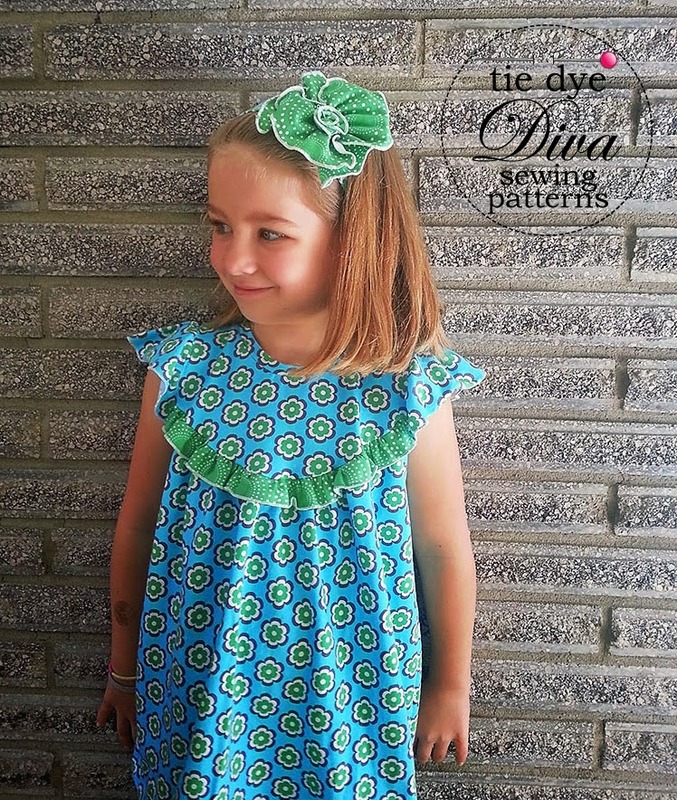 Pull to see if the fabric stretches to the child’s head size without pulling on it too hard. If it doesn’t, pinch a bit further away and check again. 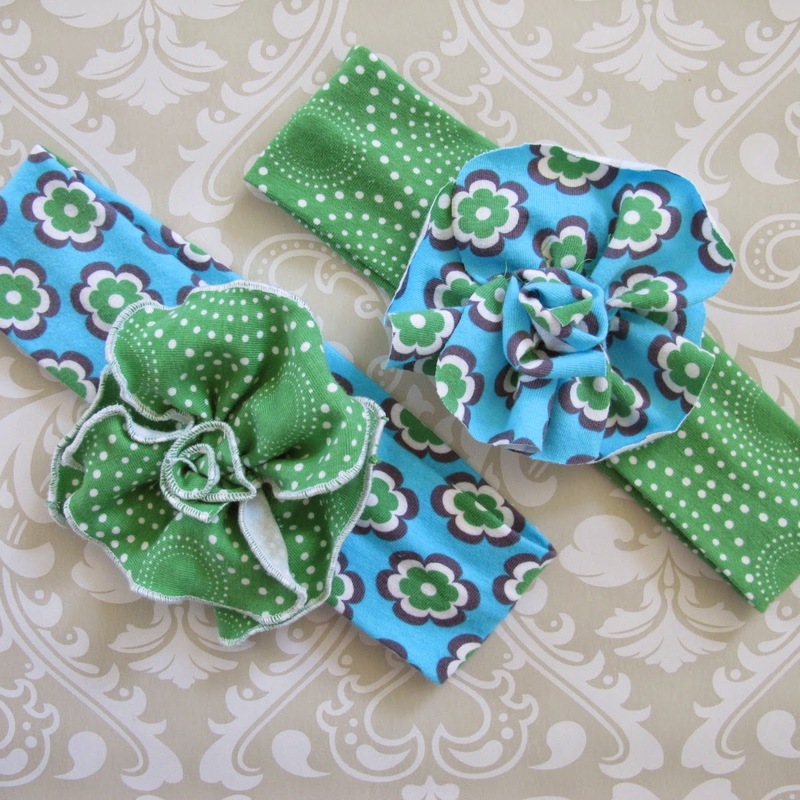 When you’ve found the right length, add 1″ to that measurement and cut your headband that length by 5″ wide. Here, I am checking whether 17″ will stretch to 21″ for my 6-year-old model without pulling on it too hard. It does, so I cut it 18″ long. 2 squares each 4.5″ x 4.5″ – this is a pretty ‘showy’ flower. You can make it smaller to your liking. Don’t worry about direction of stretch on the squares or strip. 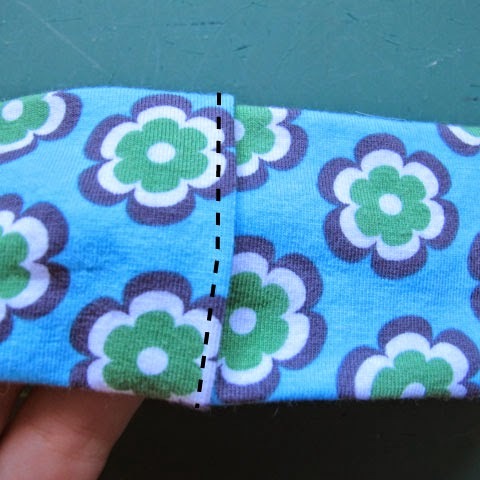 Fold the headband right sides together and sew the long side using a stretching stitch (such as wide zigzag or serger) and a 1/4″ seam allowance. 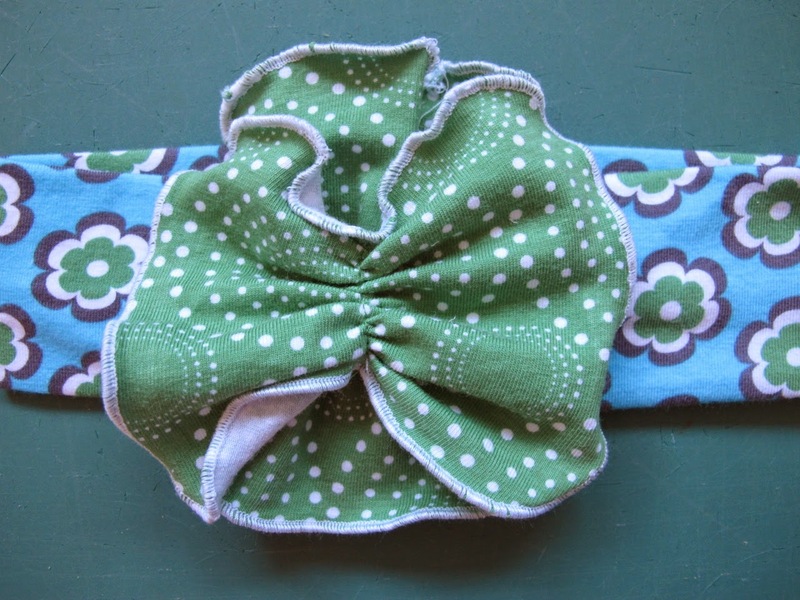 Don’t skimp on the stretchiness of your stitch or the headband might be uncomfortable. 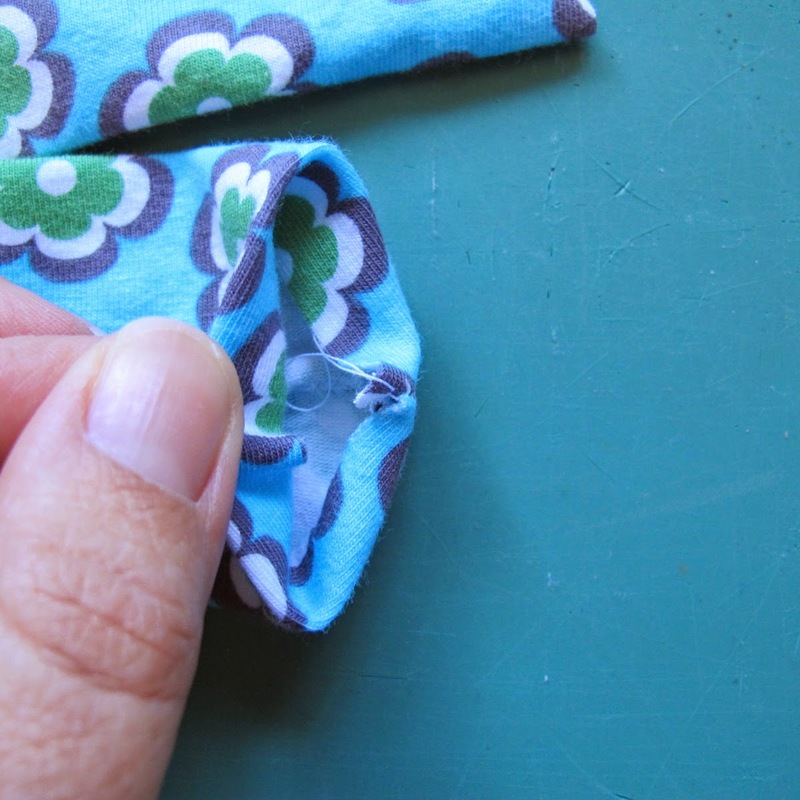 Turn right side out, roll the seam to the center of one side (which will be the inside of your headband), and press. 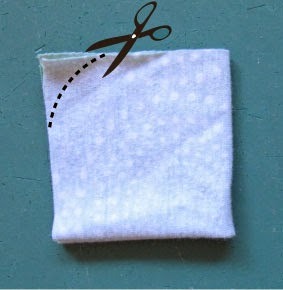 Tuck the raw edges of one opening under 1/2″. If you still have your iron out, press it into place, or finger press. 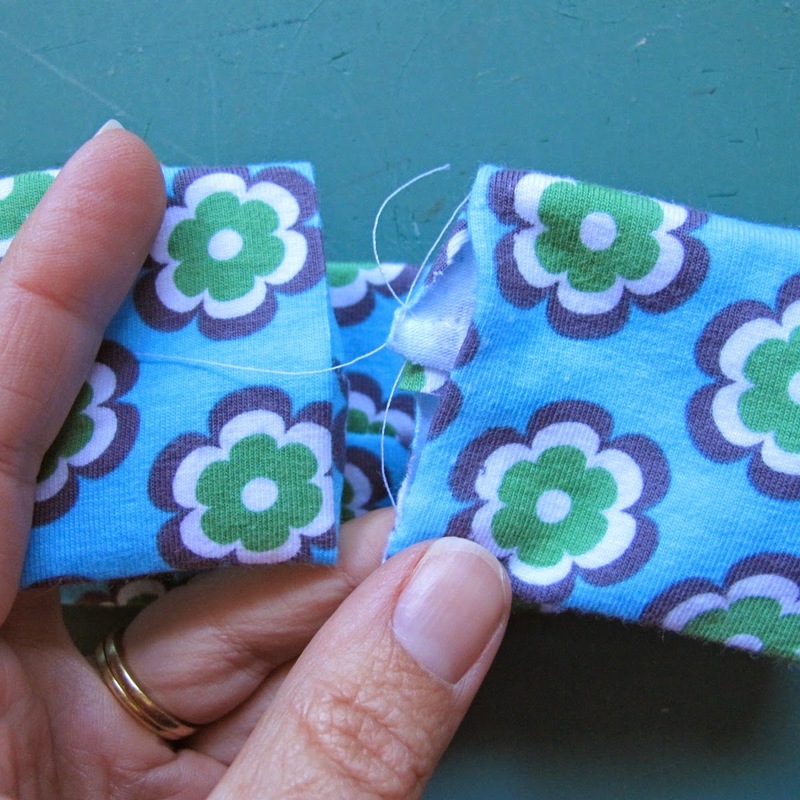 Tuck the other end of the headband 1/2″ into the opening and stitch across at the fold. Your flower will cover this seam. 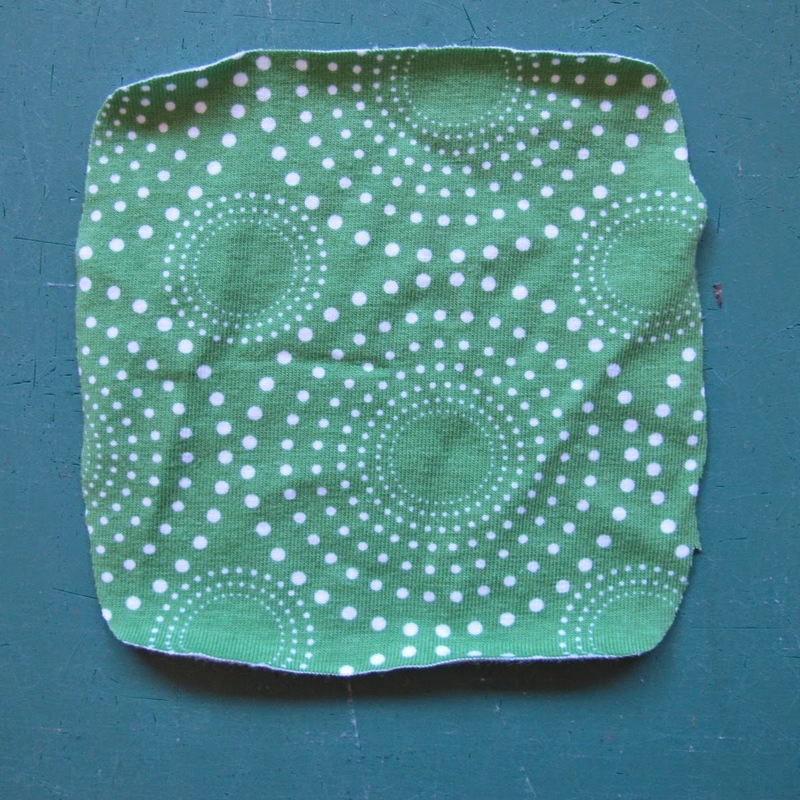 Fold each square into quarters so you have a smaller square and round the edges with scissors. 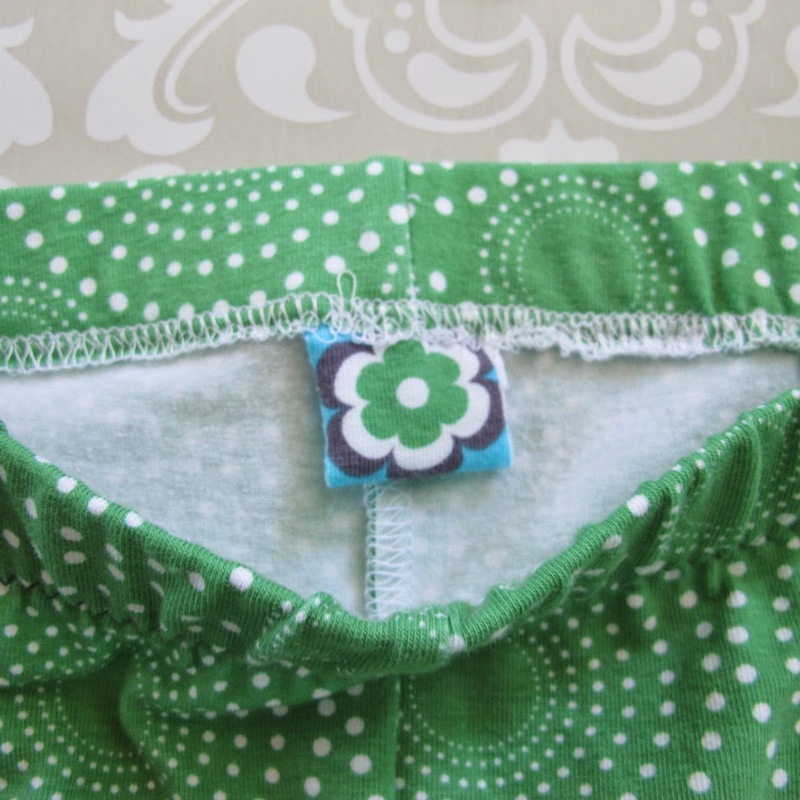 If you have a serger, a rolled lettuce edge makes a cute curly effect, so you can roll-hem the edges and turn up your differential or stretch while you sew. You can also leave the edges raw – they won’t fray. 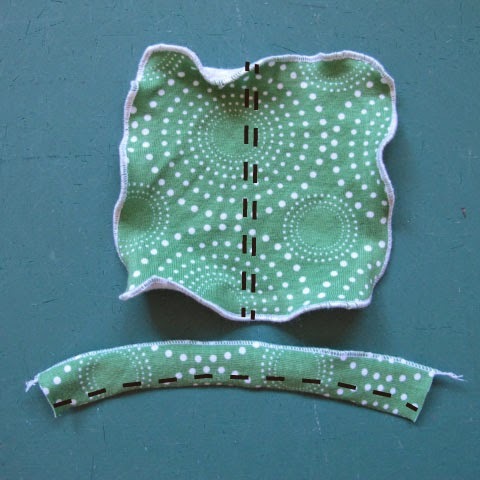 You can also roll-hem the strip along one long edge or leave it raw. 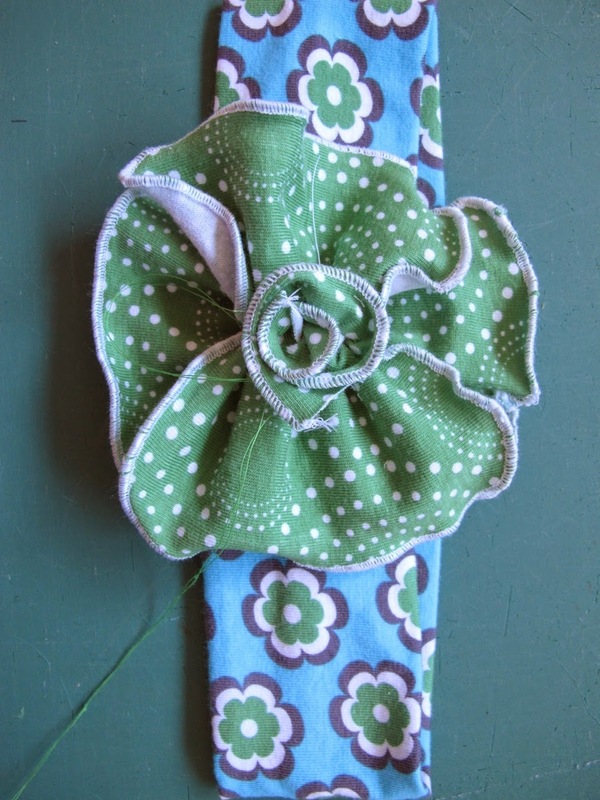 The finished headbands with rolled hem (bottom, green flower on blue band) and without (top, blue flower on green band) look like this, so you can decide if you want to roll hems or not. 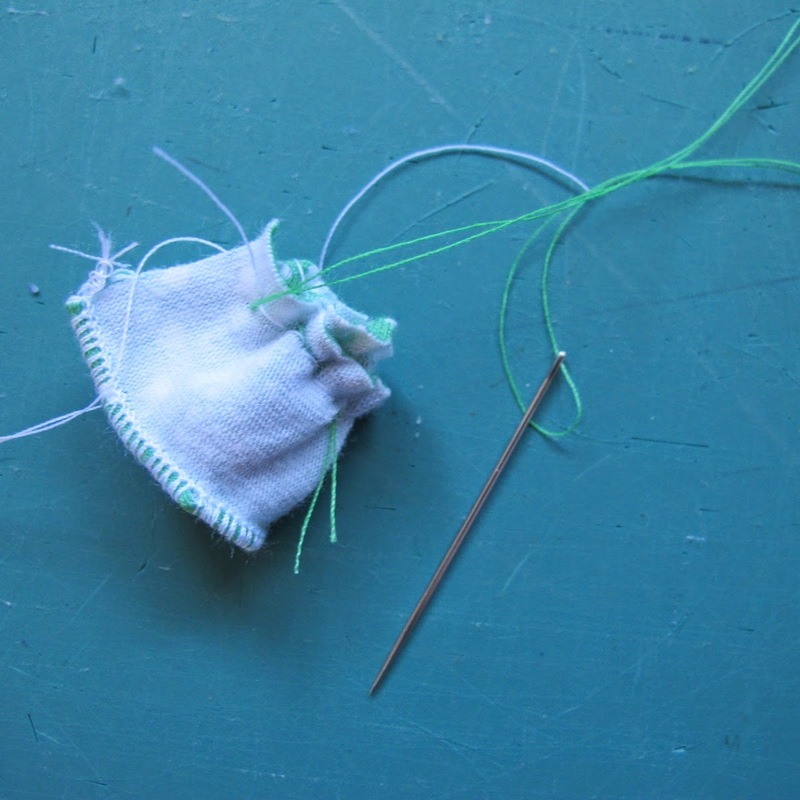 Sew long, loose gathering stitches down the center of each square and down one long edge of the strip. Gather the squares down as tight as they’ll go. Gather the strip to about half its original length. 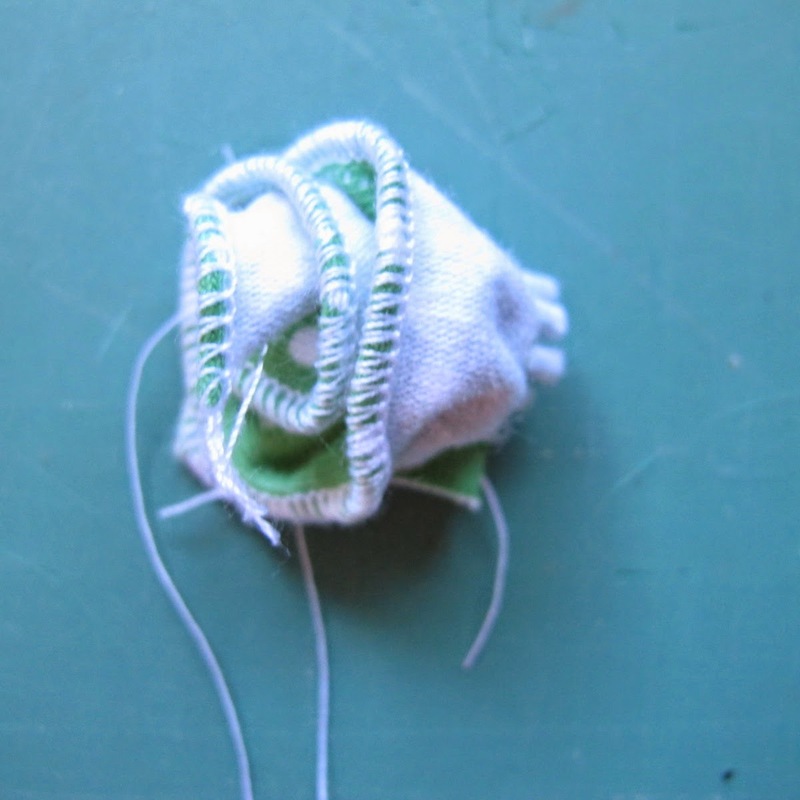 With matching thread, stitch across the gathered squares to hold the gathers in place and remove the gathering stitches. Roll up the gathered strip with the right side of the fabric on the inside – don’t worry if you have an all-white wrong side like I do, it will look right from the top side when you open it up a little with your fingers. Now you need to do a little handsewing. Stitch all the way through the bottom of the rolled strip to hold it together. 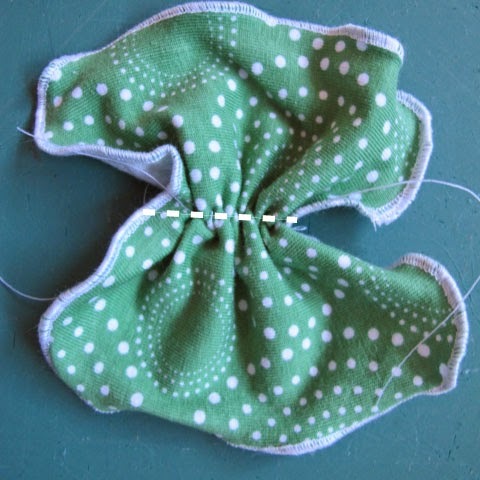 Then criss-cross the two ‘petal’ pieces and stitch the roll to the center of the petals, also sewing the petals together. 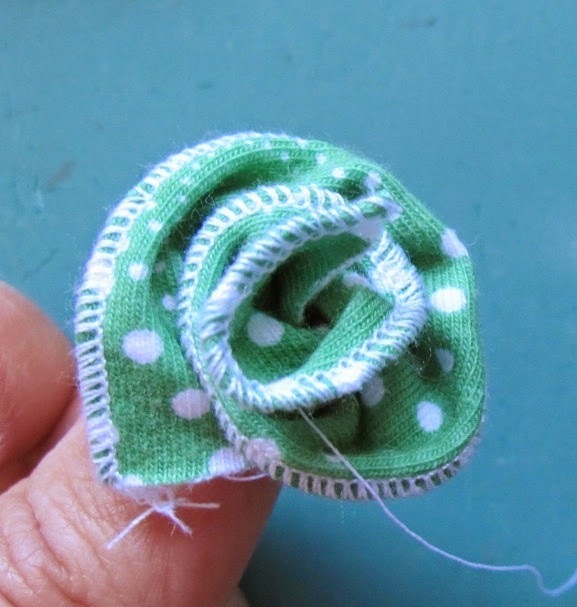 Finally, stitch this flower to the headband, covering up the seam. Enjoy! 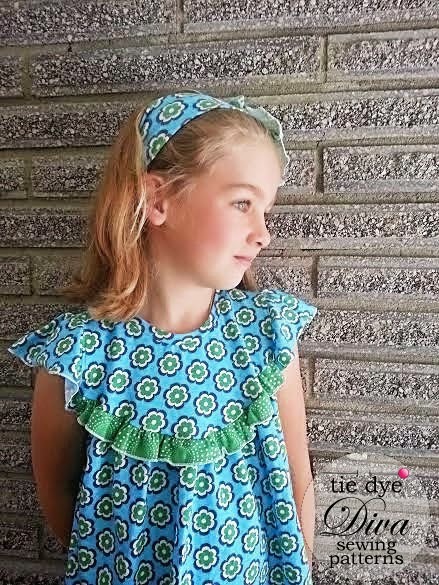 You can find the Opal Knit Flutter Sleeve Top and Dress and Sterling Ruffle Leggings and Shorties patterns on the Tie Dye Diva website. 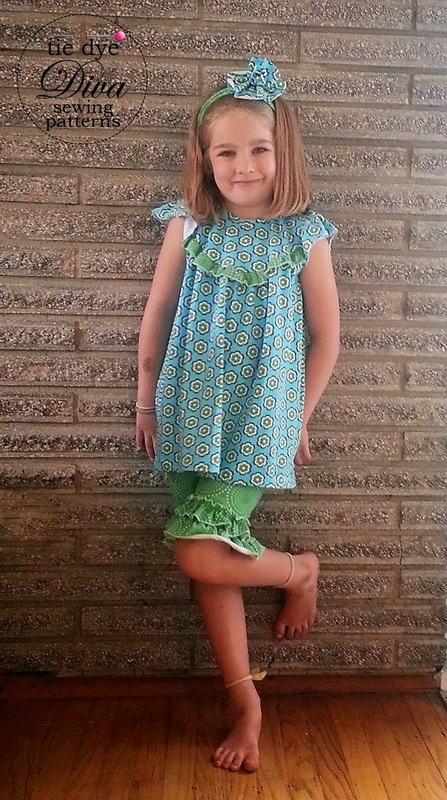 Another great pattern for knits is Zee’s Tee. Posted in Featured Patterns, free tutorial, Opal Knit Tunic and Dress, Sterling Leggings/Shorties, Tutorials Tagged blog tour, free headband tutorial, how to make a fabric flower, knit headband tutorial, patty young, riley blake designs, Sterling leggings pattern, tie dye diva Opal, vivid knits Bookmark the Permalink. Adorable!! 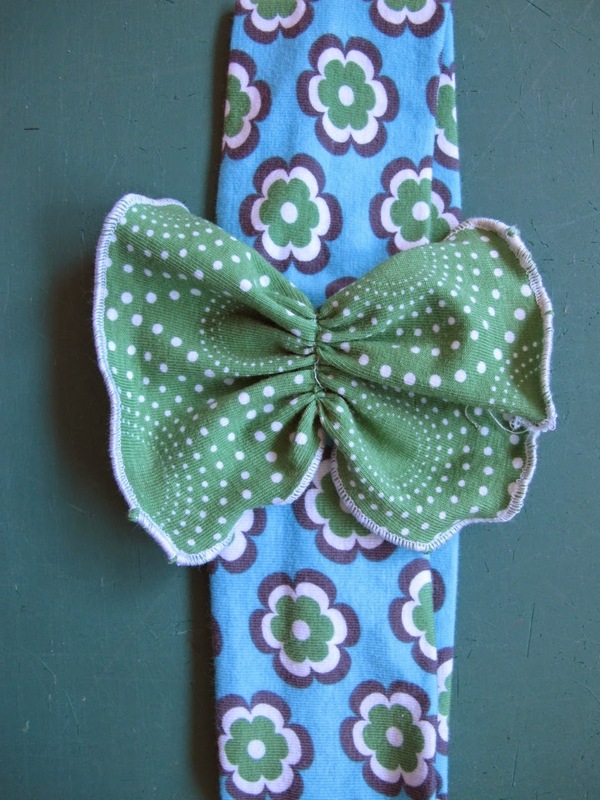 I've been wanting to make a headband like this, but too lazy to figure it out. Thanks for the details! !